CNCO, Ozuna and Daddy Yankee shone bright as some of the industry's best Hispanic artists were celebrated at the 2018 Latin American Music Awards. Becky G, Roselyn Sanchez, Gloria Trevi, Aracely Arámbula and Leslie Grace took the helm Thursday night as hosts and performers, as the awards promised a healthy dose of "girl power" and delivered in kind. "Celebrate that this year is different than past years. Women can talk and even if they try to shut us up, they can't," Grace said. Brazilian artist Anitta kicked off the performances, dazzling with her song "Medicina," which earned her the prize for Favorite Music Video later in the night. Other performers included Christian Nodal, who won Favorite Artist and Favorite Album for the region of Mexico; Pitbull, who debuted a new song "Quiero Saber;" and YouTuber LeLe Pons, giving her first awards show performance. Becky G and Grace took the stage with boyband CNCO to perform "Díganle." Becky G and CNCO were also big winners. She earned Favorite Urban Song for her collaboration with Bad Bunny, "Mayores," and the award for Favorite Female Singer. 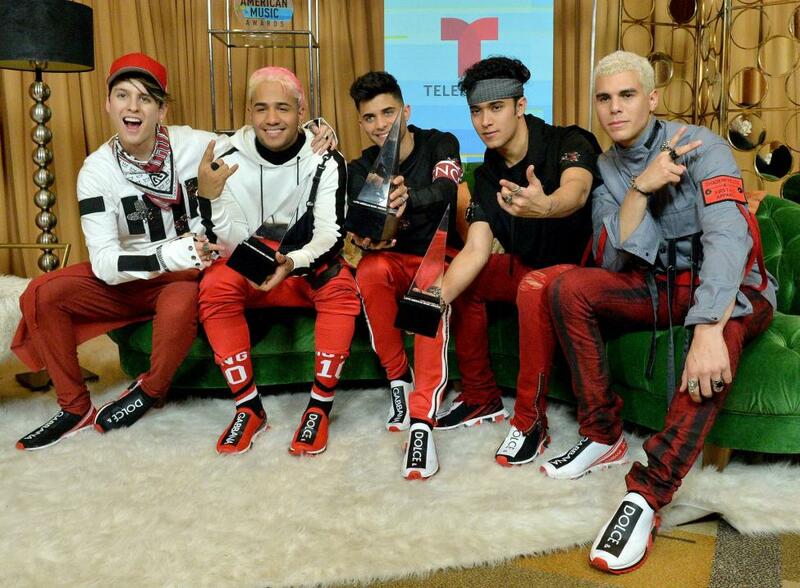 CNCO took home the awards for Favorite Duo or Group, Favorite Artist -- Pop, and Favorite Album -- Pop for CNCO. Other big winners included Bad Bunny, who won artist of the year, and Ozuna, who won Favorite Artist -- Urban, Album of the Year and Favorite Album -- Urban for their release Odisea. Maluma was honored with the Extraordinary Evolution Award and Sebastián Yatra earned the title of New Artist of the Year, voted by the fans. Daddy Yankee won Favorite Male Artist and was honored with a special ICON award. He also delivered a performance of his song "Yo Contra Ti" in honor of breast cancer survivors. Trevi also delivered an emotional performance of her song "Ella Soy Yo" after delivering a touching speech about the #MeToo movement. "The man who abused me today is free," she said. "I was 15 years old when I started living with beatings, abuse, deceit -- 17 years of humiliation." After the rest of the awards were handed out, Alvaro Soler, Flo Rida and Tini closed the show with a performance of "La Cintura."